A couple of months ago the ICO editorialized about increased ticketing for minor traffic violations locally, and wondered whether it was justified. I had just been stopped south of Anchor Bay by a local CHP officer and ticketed for not wearing my seat belt (which I was wearing, as always). I had my day in the Point Arena traffic court, and won! The officer appeared, and said he saw a reflection from the metal buckle above my shoulder. I displayed photographs that showed all you could see from in front of my car was the reflection of a high overcast off the windshield. I also brought up that the officer had noted I was wearing my seat belt when he stopped me. The judge seemed interested, and confirmed that with the officer. In his report the officer wrote that he turned after he saw me, and followed me and clocked me at 62.5 miles per hour. However, the judge remarked that all that was in question was the matter of seat belt use. I was thinking, but didn’t bring up, that the officer’s remarks didn’t make any sense. He said he followed me and determined I was speeding. He also told me that I put the seat belt on after I first saw him. If the sight of a CHP officer was enough to make me put my seat belt on, wouldn’t it also be enough to make me stop speeding? It’s bad enough the officer called me a liar, but it’s truly insulting that he thought me a fool. I doubt I made a friend in court. I’ll continue driving very carefully, and so should we all, over-zealous officer or not. Keith Jacobsen’s letter “Soldiers and Suicide” mentioned that in “2005 the number suicides (sic) of veterans who had served in Afghanistan and Iraq had reached 120 each week.” That would be 6,240 per year, 18,270 in the past three years, or five times the total killed since the Iraq War began. 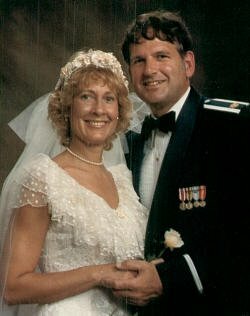 Mr. Jacobsen took “(120 suicides per week) among those who served in the armed forces” and replaced it with “veterans who had served in Afghanistan and Iraq.” Mr. Jacobsen missed that the population CBS News reviewed for suicides consisted of all who had ever served in the military, a total living today of about 25 million. By comparison, today’s total of active and reserve military is about 2.5 million, or less than ten percent of the total who have ever served. Few of today’s veterans have served in Iraq or Afghanistan. Instead of an “epidemic of veteran suicides,” veterans match the rate for same-age males; the suicide rate among active military (11 per 100,000 per year) is about half of the general population rate; forty nations have higher male suicide rates than our veterans; and the overall veterans’ rate of 19 is the same or lower than the rate for BOTH SEXES in Japan (24.0), Belgium (21.1), Finland (20.3), Cuba (18.3), and France, Austria, Korea, and Switzerland. Do you still say, Mr. Jacobsen, that these statistics reflect the poor quality of mental health screening among active duty personnel and veterans? Do you still think there is an “epidemic of suicide,” or do you now realize that you and the American public have once again been misled by sloppy and sensationalist CBS News reporting?